Brighten up a stale space with the Veletto wall Light from Heathfield & Co. The Veletto collection is a linear, elegant range that illuminates any interior space with a touch of class. The brushed antique detailing incorporated into the lamps base adds a glistening design detail. Style alongside brushed metallic and golden hues for an on-trend interior scheme. 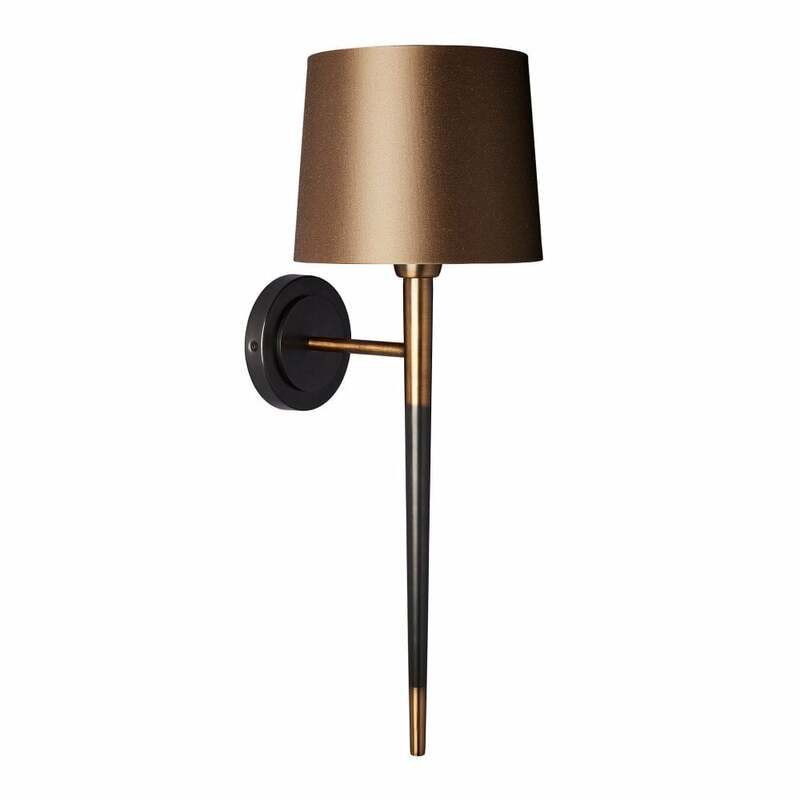 The Veletto range extends to floor, table and desk lamps for the ultimate contemporary yet elegant lighting look. Various shades and linings are available to adapt the wall light to suit and home interior.